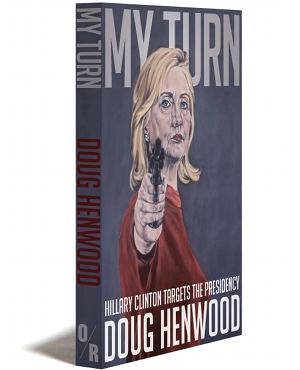 Working with artist Sarah Sole, OR Books is pleased to announce a line of merchandise accompanying our new book My Turn: Hillary Clinton Targets the Presidency by Doug Henwood. Even prior to the book’s release, its cover attracted widespread media attention including items in the The Washington Post, the New Republic and on MSNBC. Now, alongside the book, you can purchase “My Turn” tote bags, limited edition prints, and a 2016 calendar with a stunning new portrait of HRC by Sarah Sole for every month.